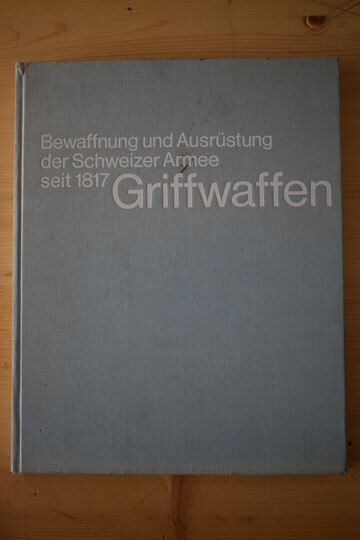 Book: Griffwaffen. Bewaffnung und Ausrustung der Schweizer Armee seit 1817. Arm and equipment of the Swiss army from 1817 till now by Schneider, Hugo and Meier. Excellent used copy of a rare refference book on Swiss edged weapons. Very complete and a great refference book. A "must have" for Swiss weapon collectors! Black and white photographs of Swiss swords and bayonets. Color photograps of sword knots. Printed in 1971 and already years out of print! In the German language. 167 pages. A real fantastic book!. Quite a good condition but no dust cover. Hence the price!